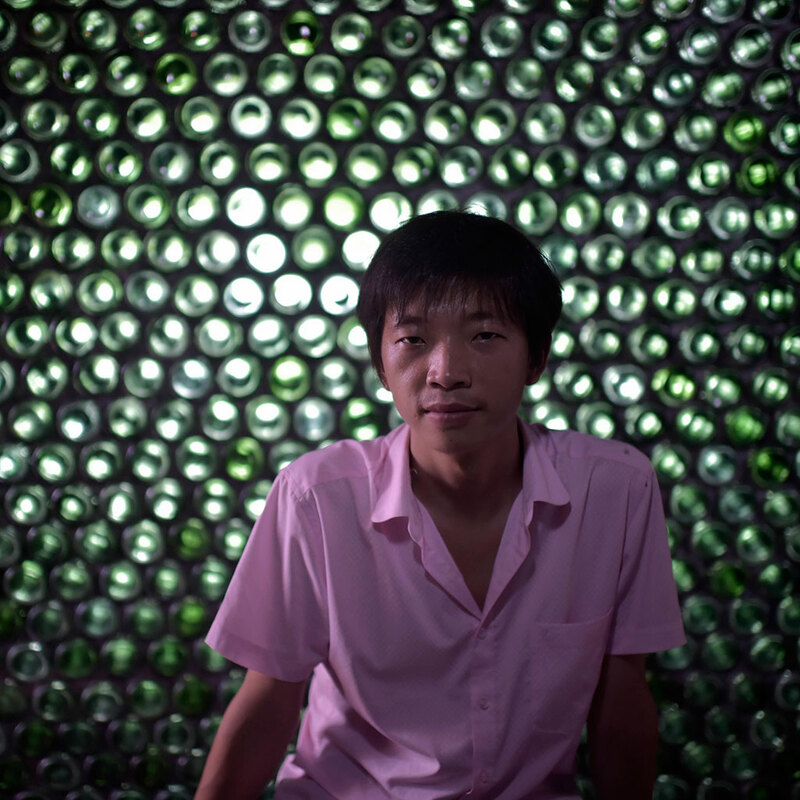 According to China Daily, those thousands of beer bottles are lined up into 40 layers, creating a 300-square-foot room that is 9 feet high. It took Li and his father over four months and $11,000 to build the structure, the bottom floor of which is built with more conventional materials: mud and brick. The beer-bottle office has not impressed everyone, however. A local architect claims that, though the design might have artistic merit, it’s far from being a marketable design and could even prove dangerous. “The top level has no load bearing wall and the weight the beer bottles could carry is limited, thus the structure may collapse,” critiqued Tang Zhe, who works professionally in Chongqing, where the beer-bottle office is built. Well, if the office does collapse, at least the whole thing is recyclable. At 5 cents a bottle, he’d get back a solid $425. Not a bad insurance policy.